New research published in New Phytologist points the way towards the breeding of salt tolerant grapevines that are likely to improve the sustainability of the Australian wine sector. With funding from Wine Australia, a team of scientists from the ARC Centre of Excellence in Plant Energy Biology at the University of Adelaide and CSIRO Agriculture and Food identified genes expressed in grapevine roots that limit the amount of sodium that reaches the berries and leaves. “Berries that contain too much sodium may be unsuitable for wine production and this can lead to vineyards remaining unpicked, resulting in financial losses for vineyard owners,” said Dr Sam Henderson, co-first author of the study, from the University of Adelaide. 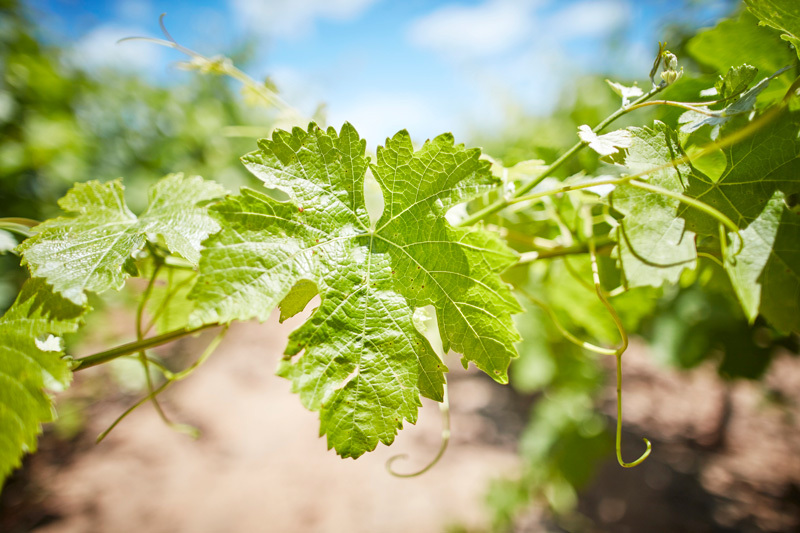 The research team set out to determine why some grapevines accumulate salt while others don’t, and found a specific mutation in a sodium transport protein in grapevine roots. The mutation stops the protein from working effectively, leading to more salt leaking into the shoots of vines – and ultimately the grapes – from the soil.